Spring Break may have many folks out of town, but the weekend will still offer a variety of activities for those who stuck around. 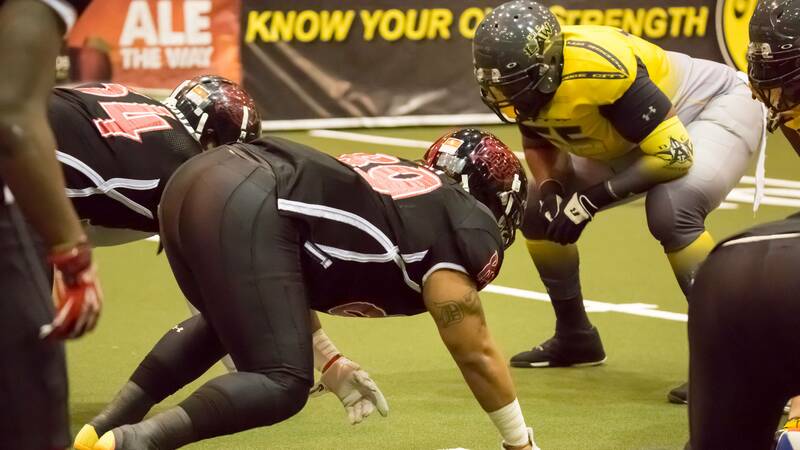 The Amarillo Venom indoor football team will open its season with a 7 p.m. Saturday game against the Dodge City Law. The team will give away kids’ tickets to those involved in foster care. Plus, $1 from each ticket will be donated to the American Cancer Society; say or type in the word “relay” when purchasing your ticket online or at the ticket booth. Area city employees can buy a family four-pack of tickets (regularly priced $80) for $20 with their employee ID card. And residents of Dumas, Sunray, Dalhart, Hartley, Texhoma, Texline and Guymon, Okla., can get two $10 corner tickets for free with the “Small Town Saturday Night” promotion. For a full schedule and more information, visit www.govenom.com. We rounded up the week’s St. Patrick’s Day activities earlier. Many are on the books for tonight, but your Irish eyes will smile to see events stretching on through the weekend. Celebrate the 76th birthday of the American Quarter Horse Association on Saturday at the Hall of Fame & Museum, 2601 E. Interstate 40. Kids can take part in a scavenger hunt to explore the museum’s newest exhibits, including “The Bold & Beautiful: Trailblazing Women of the American Quarter Horse.” Admission is $2 for children ages 18 and younger. Gallery on 7th will take visitors on a tropical vacation with its latest murder-mystery dinner party. “Winter’s Last Hoorah” begins at 7 p.m. Saturday at the gallery, 513 S.W. Seventh Ave. The set-up will find attendees enjoying time at the Make Kaka Resort, where the owner of The Hula Hut is found dead, slain by a coconut. Guests will help solve the mystery, though one of the attendees will, in fact, be the murderer. Reservations are due early to allow all participants time to study the character guide, gallery officials said. For information, visit the event page or call 806-437-9728 and 806-681-0821. Got a little extra scratch? You may find something you just can’t live without at Amarillo’s Largest Garage Sale. The event, held by Townsquare Media, will offer dozens of booths selling “antiques, tools, jewelry, baby items, art and weird one of a kind items you didn't know you needed or wanted,” said Lori Crofford of Mix 94.1. The sale runs 10 a.m. to 5 p.m. Friday and 9 a.m. to 4 p.m. Saturday. Admission is $5; children younger than 12 are free. For information, call 806-355-9547.